Anyway, being able to sew is rather nice, I felt a little powerful the day my mum begged me to replace the broken zip on her dress, *smirk* lol. Plus, you can easily tweak garments to suit your changing style. “Hello, my name is Z ∞, I come from planet Utopia “. 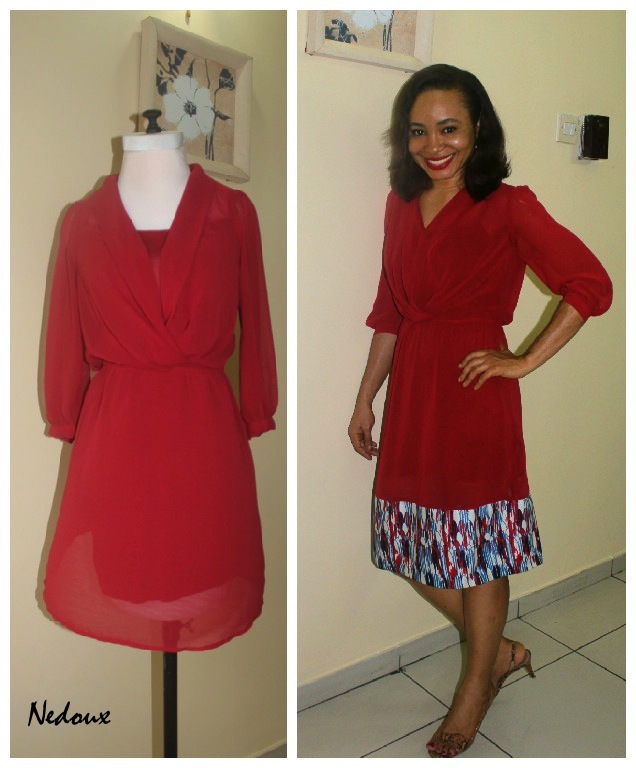 I was happy that the red print on the Woodin fabric closely matched the brick red shade of the dress. The So Chic collection is printastic! Me i dunno about Sewing eh! But that smile faaaa.. Choiiii! **Cleans Face in Disbelieve of just seeing the picture of an Angel ** It can Raise 10 Lazarus’ from the dead at just one glance.. Choi!!! Slay Nedu Slaaaayyy!!!!! This is a lovely dress! There are loads of items in my closet that need some extra inches. I find myself wondering if I have grown taller because there’s no way the now tops in my closet were once worn as dresses lol. 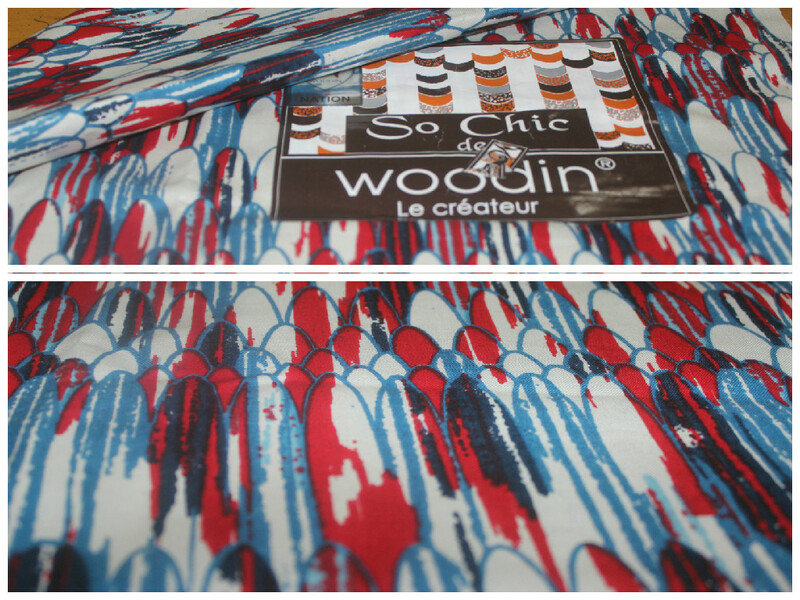 Thank you, I really like the Woodin print, it doesnt look overly ankara-ish, but still looks ankara-ish enough. There have been soooo many times I’ve wanted to Cut and Paste when it comes to clothes, but sadly as my Textiles teacher once said, ‘Sewing is not my forte’. Its a shame coz what you did above is fab and cost effective, not only do you get a new dress,but it has a bit of ‘you’ in it as well. 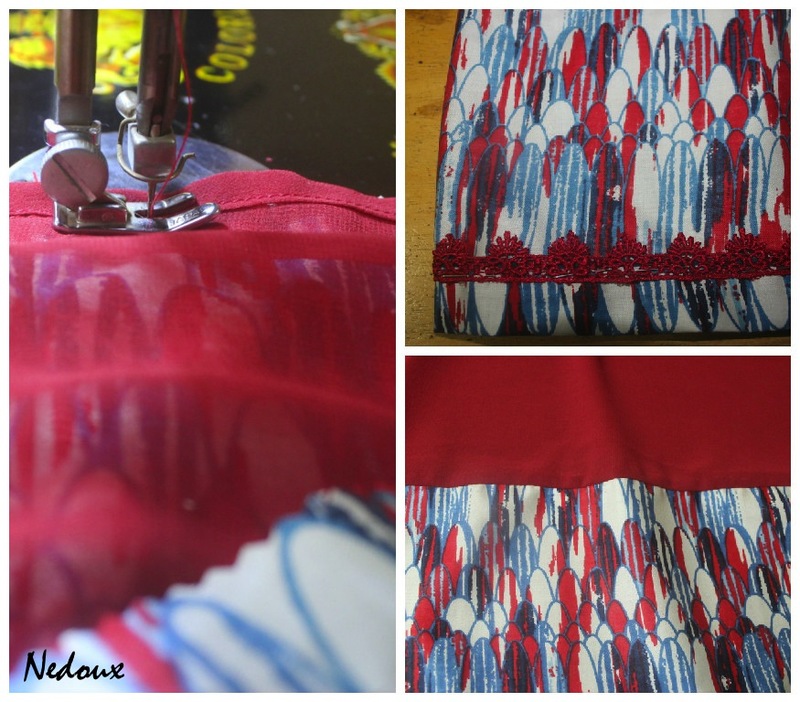 I love the idea of block crimson red and then a colourful printed hem! I agree, it’s a pocket friendly way of upgrading a dress, and adding one’s own personal touch. Dear Fashion S\ash life, you seem to avidly learn to sew. I think if you want to badly enough, you should shove your teacher’s report and learn anyway. Lol, I totally understand the “leggings situation”. For easily frayed fabrics like chiffon, you’d need to lock in the edges. A simple way of doing this is to fold twice and sew. You are quite talented my dear lady. Glad you looked it up. The girl could refashion a full length dress into a short frilly skirt and still make it to school just in time. 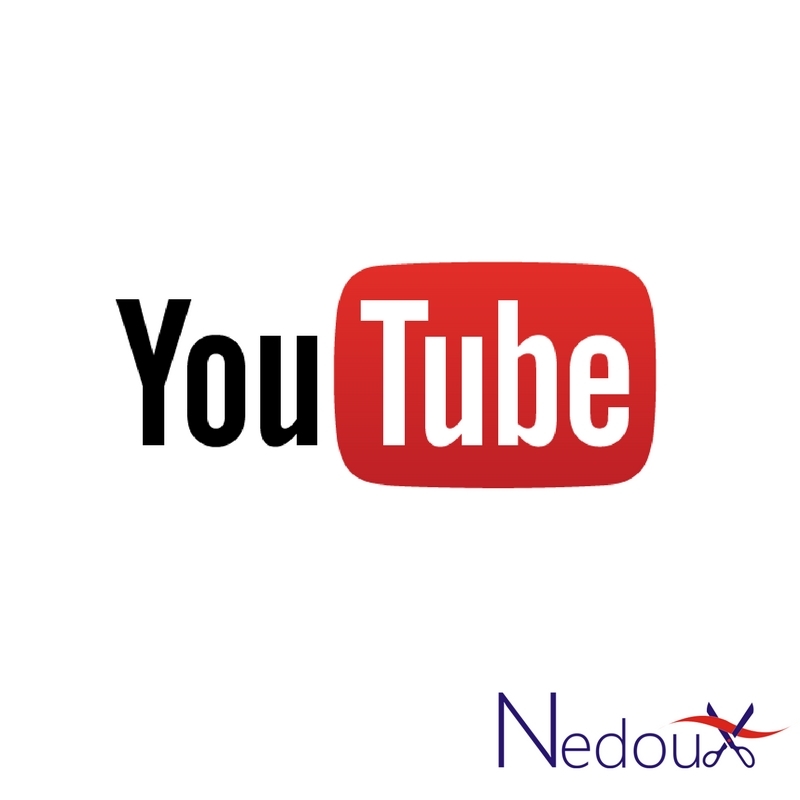 Hello, video tutorials. Imma make my own dress. It only has two seasons. The show was taken off I think. But maybe you’ll learn sth. Can I have your hands please? I wish I know how to work a needle and machine… I can think of a number of things I’d like to do to my wardrobe. Definitely fashionable. I’m cutting patterns out for various types of clothing and some days I feel so silly, like I need to know this stuff by now! By the way, expert or almost expert home sewists like you increase the jealousy. But I’m definitely inspired. Maybe even enough to show some of my “work” on my blog soon. Sewing is great, when you know what you’re doing. And i definitely agree with the case study only I’d like to add, women do it too. I am inspired by your drive to “know this stuff”. I sincerely look forward to seeing your work. Yes, sewing is great! Well I’ve been toying with the idea of making a patchwork skirt/shirt. The logistics are up in the air right now but I’m confident that I’ll get to it soon. Sounds interesting! One tip, try to combine fabrics that won’t colour-run badly into each other when washed. Isn’t this adorable? Chai! See talent… See skills ooo. Infact i love the new-ish dress than the previous. Damn…. You nailed it. I prefer the new-ish dress too. Great job! I wish I had those talents I’d work magic in my closet and renew everything! My talent lies elsewhere, I could probably rock out a pair of fabulous earrings to match! The earrings that you make are so beautiful, your hands are blessed! I love the transformation,and that red is it! The red is definitely it! I really like this refashion. You look all round great! PS. How can I follow you via Bloglovin? My blog is listed on Bloglovin, so you can follow. WordPress does not allow the button to be displayed on my page. You could also follow by email. I know, right? 😀 , I was very pleased with the outcome of this refashioning project. Lol, I have turned red from blushing at your sweet compliment. Miss G’s zest for adventure? I’m ‘a miss G’ and adventure level is below zero hehe. You know I know what you mean and I know you know what I just did there lol. Eh yes, there are things in my closet that could benefit from ‘cut and paste’. Thing is I can cut, who will paste? Lol. You could invest in a small, inexpensive sewing machine, I’ve seen a few on jumia/konga. It would also be useful for mending bits and pieces. Or simply give it to your tailor, every Nigerian lady has one, or two, or even three tailors, on speed dial (Hello, #aso-ebi bella), Lol. Lol. I like how you relate everything to sewing. Lol, thank you for reading Chuma :-).